A superb horizontal framed or flatbed turret clock by the highly respected maker J W Benson of Ludgate Hill, London. 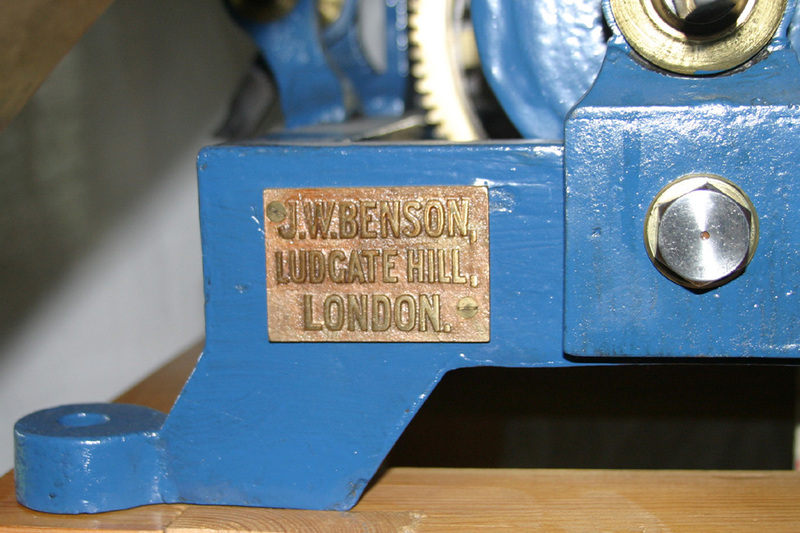 J W Benson favoured the horizontal frame design as it enables easy and convenient access for maintenance and repair of the clock with minimal disruption. The set-dial engraved with the makers details 'J. W. BENSON LUDGATE HILL' and the date '1903'. 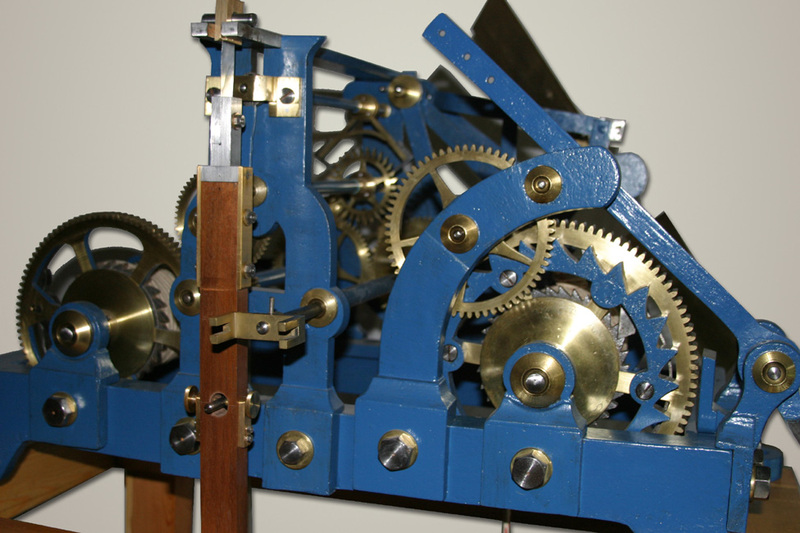 The clock having cast iron frame finished blue, high quality brass wheelwork with steel pinions and dead-beat escapement. 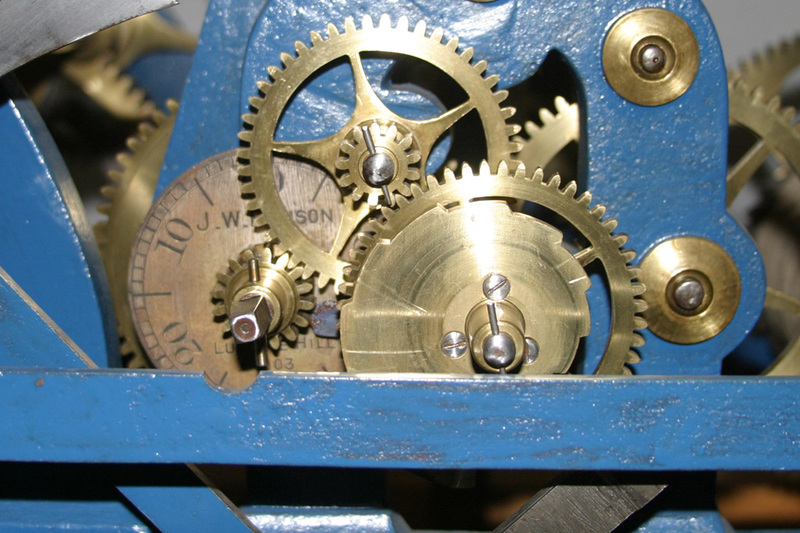 Rack repeating striking mechanism, striking the hours with passing strike on the half-hour. 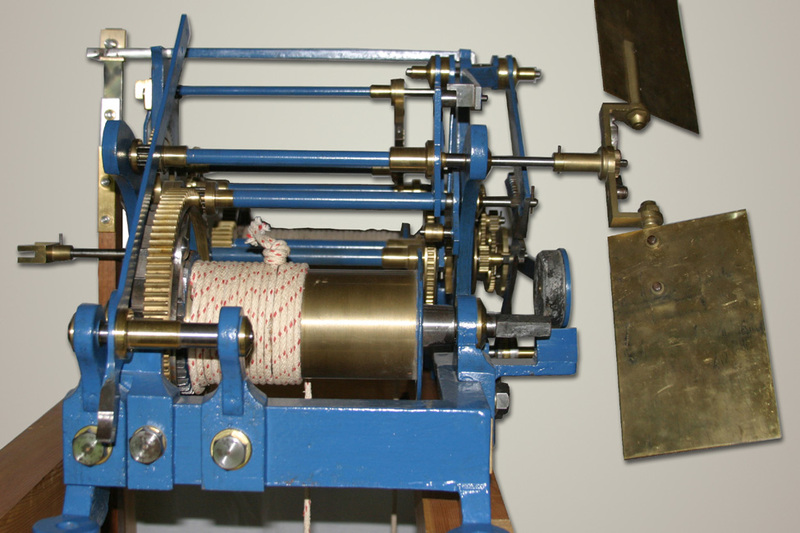 The clock strikes from the great wheel to obtain maximum sound from any associated bell (bell not supplied). Winding with maintaining power. 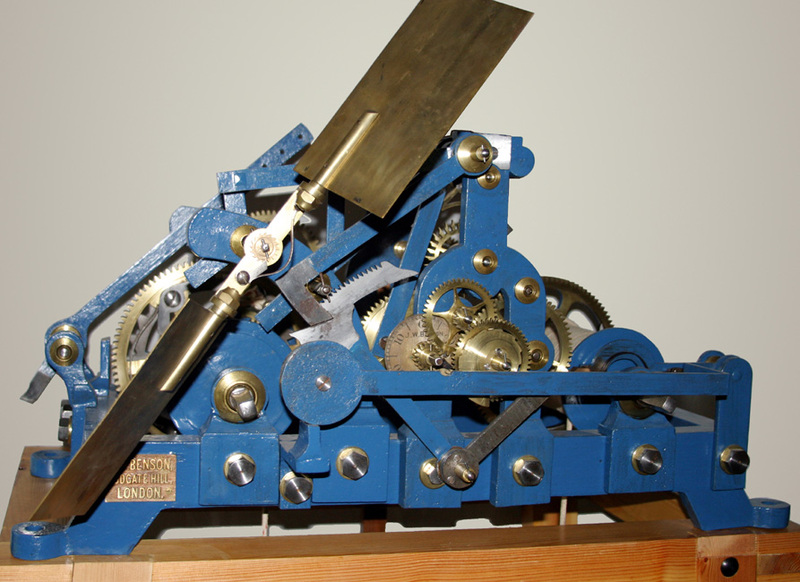 The movement is 78.5 cm wide, 64 cm deep and 40 cm high. The wooden display stand is 118 cm high. 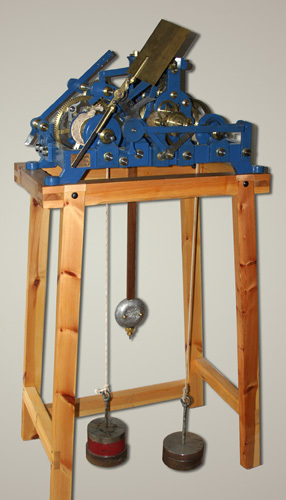 Sold as pictured; movement and pine display stand only; without dial, bell and accessories.